What hooked me, was when he told me he had made 10 C-Level appointments in a week! This blog will now share with you his secret. 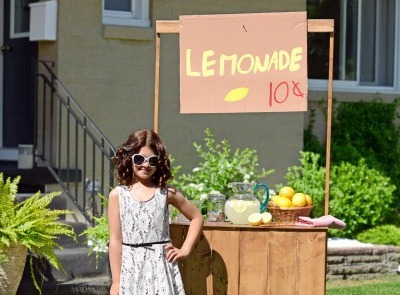 Sales – Starting at the Bottom! When Paul and I got our “big breaks” in sales we started from the bottom. Both of us had been given a Telephone Directories and told to “call that”. There was no @LinkedIn, we didn’t know what a Value Proposition was, we knew nothing about how to conduct ourselves on the telephone. Maybe it’s down to personality, but actually we were both pretty good at it. My view was, well I’m probably never going to meet these people, so if I make a fool of myself, who cares? Paul then expanded on how over the last 20 years making cold calls had got more difficult. 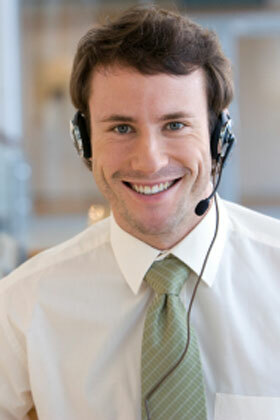 More voice mail, more gatekeepers employed to keep us sales people away from “Decision Makers”. There are many Social Selling articles written that you don’t need to make Cold calls anymore, I’m not so sure about it, but it has got harder and harder. How Do you Book C-Level Meetings using Social Media? Paul started doing all the things I write about here from a Social Selling point of view. He set yourself up with a buyer centric profile on LinkedIn and Twitter and started curating and posting articles that he thought would be interesting to his audience. The day before we met, he had got a C-Level meeting purely from an Infographic on LinkedIn. He showed me the dialogue on LinkedIn. As simple as that, decent content on LinkedIn and Bam! A Meeting. Anyway back to how he gets 10 appointments a week. As all good sales professionals do, he researches his target accounts (no different than we have done for the last 30 years) but this time he does this in the Social world of LinkedIn. (Paul and I both recommend you pay the subscription and get access to the Sales Navigator.) He researches the organisation, business issues, news items and Executives and then looks for the people from the target Account on Twitter. Paul, follows all his target accounts and the C-Level people he has researched on Twitter. His usual, approach to a C-Level contact is “Noticed you were talking about XYZ have you considered this?” This, being some content that the contact will be interested in to drive the conversation forward. He got a meeting with a C-Level Executive in the UK’s Post Office. There is a roll out of technology that this Executive has responsibility for. Paul took a photo of this particular technology in his local Post Office and Tweeted to this individual “Great to see this technology being rolled out”, the Executive replied and they got into a dialogue. Paul telling the Executive he had a presentation that might be of interest. The executive then followed Paul back so they could have a Direct Message (DM) conversation. Paul shared the presentation. With some good research and a degree of luck, Paul usually gets a follow back and then enters into a (DM) Direct Message conversation. As with many sales organisations, Paul is a sales “generalist” so once he is in a DM conversation he brings in a colleague with specialist domain experience. He does this using Twitter rooms. He always asks permission to bring in the colleague. At the point the specialist is engaged, he closes for next action, which in his case is a meeting / appointment. He calls this tactic “shared Twitter Rooms” or “Tag Selling”. Paul says he gets a far better response in Twitter room and says he never asks for the sale directly, by then there should be trust built between the two parties. Results so far – 10 C-Level Meetings per week. Now I agree that maybe your product or service isn’t the same as Paul’s but you have to admit that using Social this way is pretty impressive. I asked Paul how he researched the contacts on Twitter and he said that standard Twitter functionality, where it suggests three additional people to connect to, Twitter often picks “interesting” contacts. 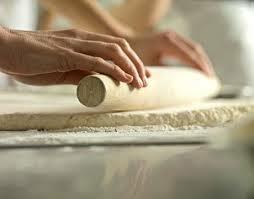 He described this as “rolling out dough”. The three people that Twitter suggested were often of a similar quality. NB: While recently talking about this article to @desalescoach he said a common objection from sales people, was you need thousands of followers to make this work. At the time of writing @snapdragon_paul has 542. I welcome comments and for your to share your own experiences in the blog comments below. Part 2 of this discussion is to follow, where I share more of Paul’s Social Selling best practice. Tim Hughes is the number 2 Social Seller Globally and is a pioneer and innovator in the world of Social Selling. He speaks and coaches sales teams to help them start a journey to support Social Selling in their organisations. He can be contacted at @timothy_hughes. This entry was posted in Consumer Loyalty, Customer Experience, Customer Journey, Customer Service, Cx, Uncategorized and tagged B2B, Beginner, Cold Calling, Consumer Loyalty, CRM, CustExp, Customer Experience, Customer Journey, CustomerExperience, CustomerJourney, custserv, Cx, Eloqua, How To, Hubspot, Influencer, inside sales, Market Influencer, Market influrence, Marketing Automation, NextGen, Opinion Former, Sales, Sales Challenger, SocBiz, social employee, Social Selling, SocialSelling, Telemarketing, TeleSales, Twitter. Bookmark the permalink. I liked this, thanks Timothy for sharing. 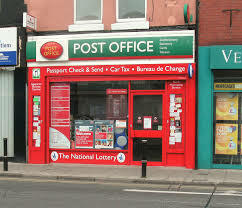 The Post Office manager case shows how important is having a “hook”, good enough for a C level. Great story. This example demonstrates what you can achieve when you focus. Great story, Timothy. It really demonstrates what can happen when you focus on your buyer. Interesting read. I think influence attracts whatever level & being a nice girl helps. Great article. A lot of our customers come via the social media channels. Whilst we provide a rather ‘boring service’ – i.e. no ’emotional sale’, surprisingly enough, new clients engage. See here: https://checkacontract.com – Proves the point. I think the important bit is that services and products are not forced down the throat of a follower (or otherwise engaged) social media contact. Furthermore, sometimes things work – sometimes they don’t. Mix, mix mix – and stay on top of conversion rates, engagement and statistics. Reblogged this on Ellis Mugridge. As for the follower count thing, it’s pretty academic. I’ve lost count of the number of 100,000+ accounts I’ve seen whose knowledge is absolute bobbins once you try and pin them down on something. Meanwhile, some true experts in an industry may only have a few hundred followers but all are interested in their words. what is a “twitter room”? 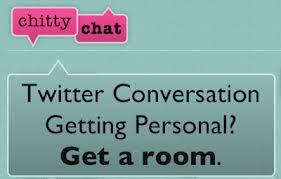 Using Direct Messaging (DM) you can have one to one conversations with people. Recent functionality allows you to add multiple people, that is when a DM becomes a twitter room.